Order your unique Doplr now! 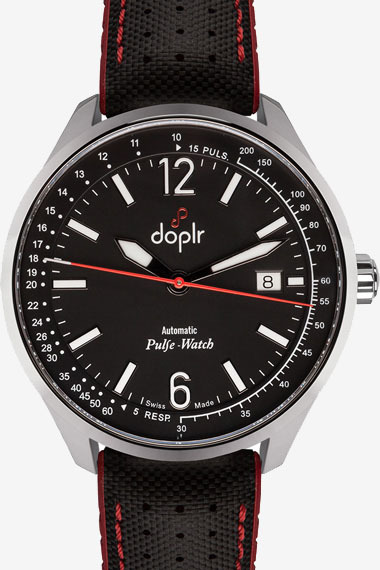 Doplr (pronounced “Doppler”) is the first independent watchmaking brand created by doctors. 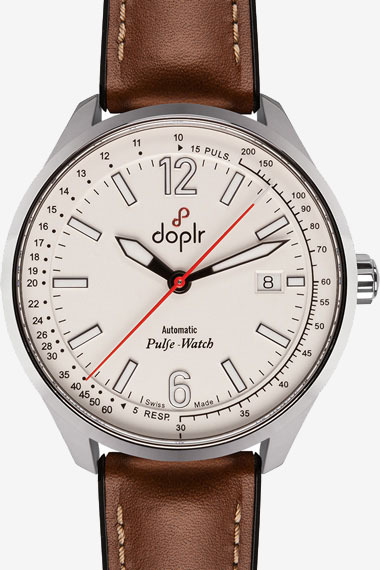 Working with a team of Swiss watchmakers, the aim was to reinvent the pulsometer watch created by Dr John Floyer in 1707: the Doplr "Pulse-Watch". 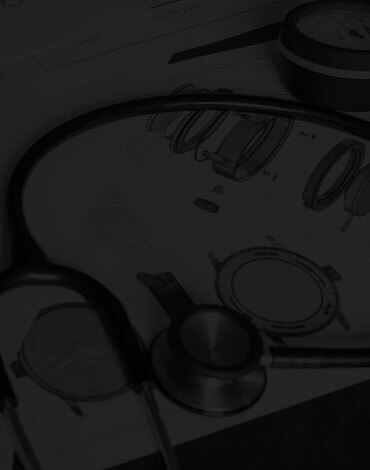 Timeless and unique, it is not just a watch but a symbolic tool to measure a person's vital signs. Doplr watches combine modernity and tradition and meet four criteria: Functionality, Rarity, Reliability and Precision. In honour of the first pulsometer watch invented by Dr John Floyer in 1707, the English physician was renowned for his work on the pulse, the dial of the Doplr Pulse-Watch has been developed to measure both the pulse (pulsometer) and the respiratory rate (asthmometer). Swiss made, with a waterproof and disinfectable stainless steel case and scratch-resistant sapphire crystal, the Doplr Pulse-Watch has been designed for intensive medical use. Each watch is unique and numbered (there will be 300 limited edition versions for the launch) and has the owner’s name engraved on it. 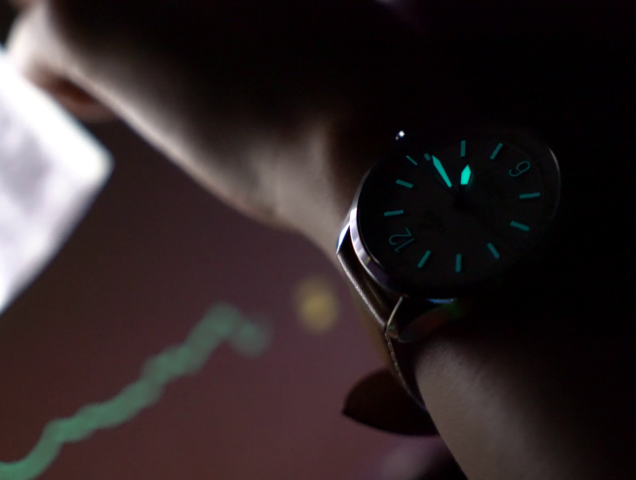 the fact that the hands and indexes are covered with Superluminova®. 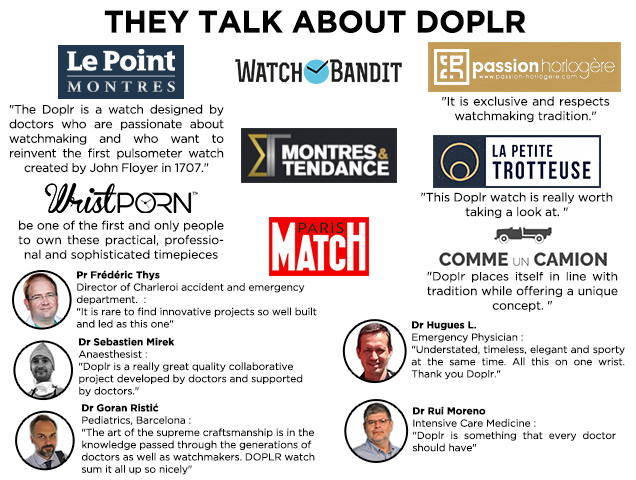 Doplr watches come with a 2 year guarantee. Spare parts are also available. 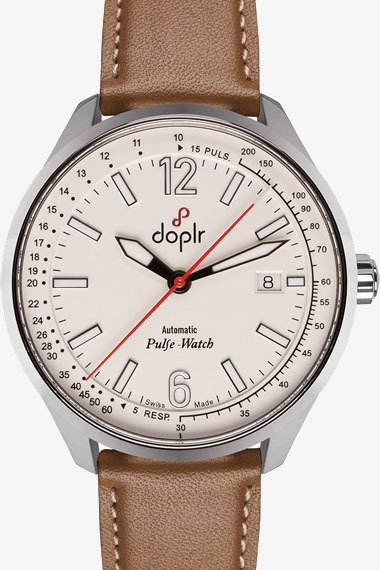 The automatic mechanical movement inside the Doplr is the driving force behind the watch. 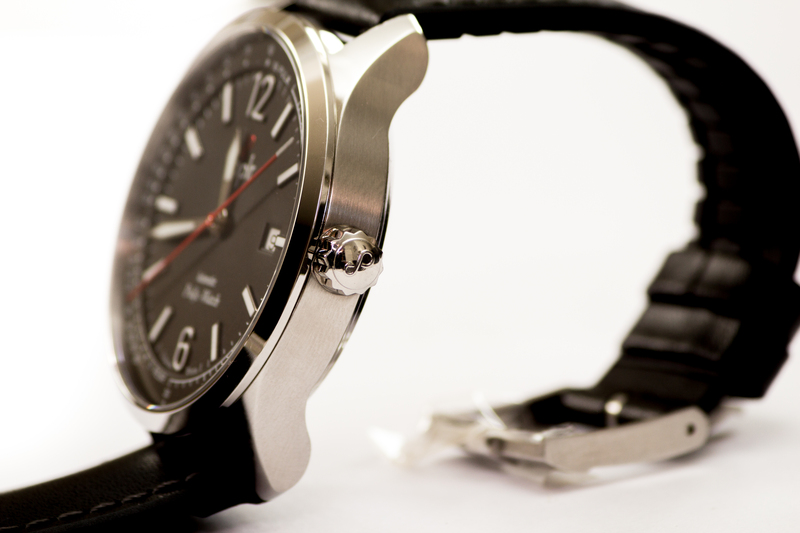 Made by ETA, (the most famous and oldest Swiss movement manufacturers), it is designed to last. Self-winding thanks to movement of the wrist, it has a power reserve of almost two days (38 hours). The movement is the ETA 2824-2 calibre. Embossed with a Geneva striped decoration “Côtes de Genève” it is also endowed with circular-graining . 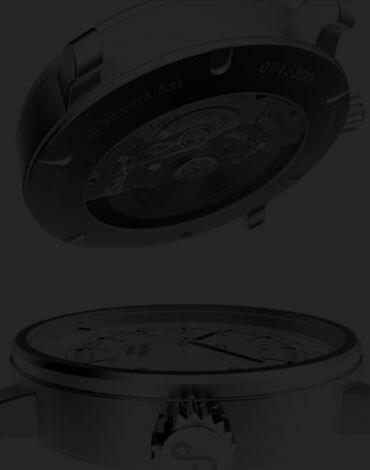 This is visible through transparent sapphire crystal glass allowing one to appreciate the timepiece indefinitely. The Doplr “Pulse-Watch” is a limited edition version of only 300 timepieces. Doplr watches are developed, assembled and adjusted by master watchmakers in a prestigious workshop in the heart of the Swiss Jura watchmaking valley. The watch is numbered and engraved with the owner’s name, making them unique. After several quality controls the watches are then allowed to leave the workshop. 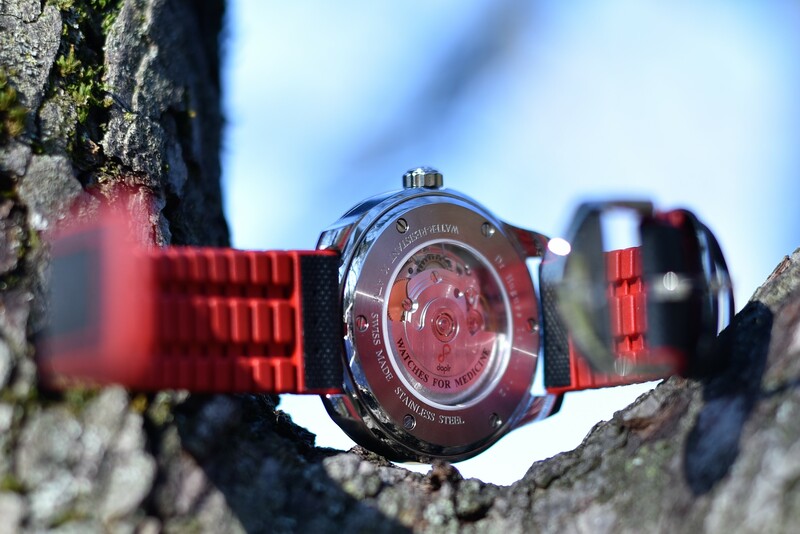 Our watches are labelled “Swiss Made”. 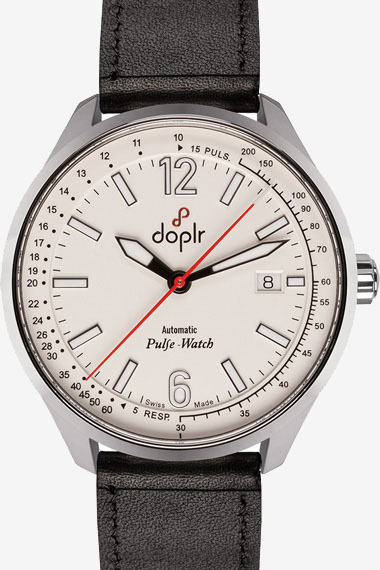 The Doplr Pulse-Watch comes with a pulsometric scale on the dial to measure the heart rate. As soon as the second hand passes the 12 o’clock mark, you can take the pulse. Count 15 beats and then read the corresponding number of the dial at the 15th beat. For the record, the pulsometer was invented by Dr John Floyer in 1707 in collaboration with London watchmaker Samuel Watson. The watch also comes with an asthmometer, making it possible to measure the respiratory rate in cases of respiratory distress. As soon as the second hand passes the 6 o’clock hour mark, you count five breaths and read the corresponding number on the dial in relation to the fifth movement of breath. 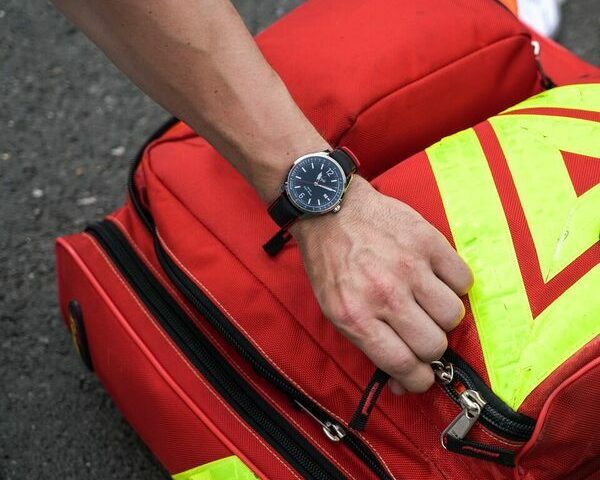 In order to meet the high demands of professionals, the Doplr “Pulse-Watch” is both disinfectable and waterproof up to 100m. The 40mm diameter case (excluding crown) makes it compatible with the majority of wrists, for both men and women. A number of bracelets are available and interchangeable depending on the occasion, including handmade Nappa leather, ultra-resistant genuine rubber and a hybrid version called “Performance”. This strap is patented technology and features a rubber inner lining with an exterior leather coating. It is breathable (tested in a sauna), waterproof, disinfectable with soap and scratch resistant in certain situations. When a second bracelet is ordered, a special tool will be provided so that the bracelet can be changed in a few minutes. For each watch sold, Doplr will donate to Médecins Sans Frontières the equivalent of a medical consultation, a donation of 25€, which represents for example the equivalent of 15 vaccinations against cholera. Other charitable projects, in partnership with organisations are planned for the future. For each watch sold, Doplr will donate the equivalent of a medical consultation to our partner Médecins Sans Frontières, a donation of 25€, which represents for example the equivalent of 15 cholera vaccinations. Other charitable projects, in partnership with organisations are planned for the future.